Welcome to Nethaera's Logo Shop! I believe I am skilled in graphic design well enough to help out the community with a logo shop for our projects in RPG Maker, etc. Do NOT rush me - I am a high-school student who needs to study and I don't want to be stressing myself with possible complicated requests and I am doing it for completely nothing. I prefer Game Logo Requests with cool names and correct request forms, which you can read below. The rules of Nethaera's Logo Shop are simple. Give me time to think about accepting or rejecting the request. Give me credits after your request is done. Read instructions before posting requests. Request the logo in public and if your project is private, PM me; your information will be private. Post comments and constructive criticisms on my topic. Don't get mad at me or feel bad if I reject your request. Don't just say the font's name; give me a link on where I can download the font. Don't leave all the work to me, if you really wanted a specific detail on a request; mention it. Don't request a new logo one after another within a week. Let others have a chance. Don't blame me if the result is not good, I am trying my best. STRICTLY: NO PROJECT LINK/INFO OR PROOF, REQUEST DENIED. IF YOU DON'T HAVE A PROJECT LINK YET JUST SHOW ME A PROOF THAT YOUR REALLY WORKING ON A GAME. SCREENSHOTS, ARTWORKS, DISCUSSIONS, OR ANY PROOF THAT CAN STAND OUT JUST TO FILL THE BLANK. STRICTLY: If request form is not followed your request will be rejected. You have 48 hours to put in an example and change the thread accordingly. Oh, sorry. I created the shop before the rules. The topic is now updated. Excellent! I have been waiting for a logo shop to open for quite a little bit of time! I really do hope that you give my request a try! Styles: I am hoping for more of an arcane, magical feel to the text but at the same time reflecting books and such... So a magical library type of style. Attached Images: I have no preference as too what you think would look best, though I would really appreaciate it if in some way you could include a spellbook within it. Request Description: I would like my logo too have a few things, first I would love for the text to look magical but yet professional at the same time. 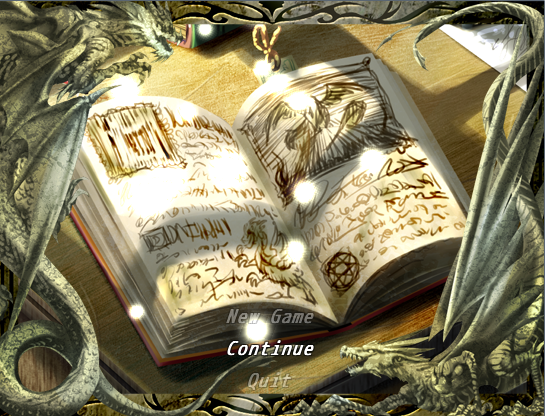 I would really appreaciate it if you could also add in a spellbook too the picture, like the one given in the rpg maker vx Ace title screen... I have no preference as too what color, size or font the text is. only that it looks well placed and legible. Finally, I would love If you could maybe add the human flag from Warcraft three or would of warcraft as sort of a background for the logo. Thank you! I really can't wait to see what you are able to create!